You don’t have to like baseball to appreciate the triumph in this true story. 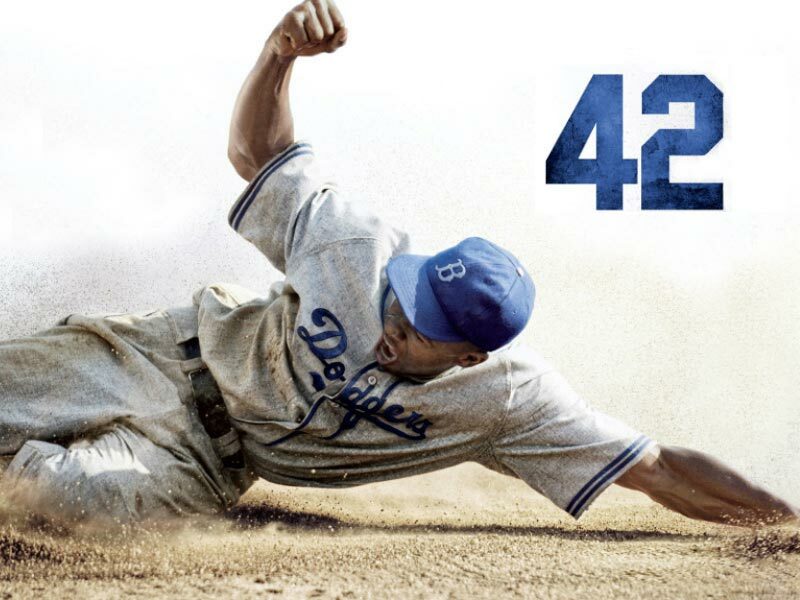 42 isn’t so much about which team won on the pitch, but more about who came up top in the struggle for equality during a time when America was coming to terms with black and white being equal. Major League Baseball executive Branch Rickey was more concerned with how well Jackie Robinson could swing a bat than the colour of his skin and in 1947 Jackie became the the first black man to enter Major League Baseball as he was recruited to the Brooklyn Dodgers. Unsurprisingly, along with the breakthrough came the backlash. The team’s tour across America reveals the varying degrees of acceptance, or lack of, during the 40s and presents the swaying feelings of his teammates and rival batsmen as they realise that Jackie’s not just a PR stunt, this guy can really work a bat. Harrison Ford wears the braces of Branch Rickey well enough, but at times he is a little too Toad from Wind In The Willows and looks as if he’s about to get out a bag of Werther’s Original at any given moment. 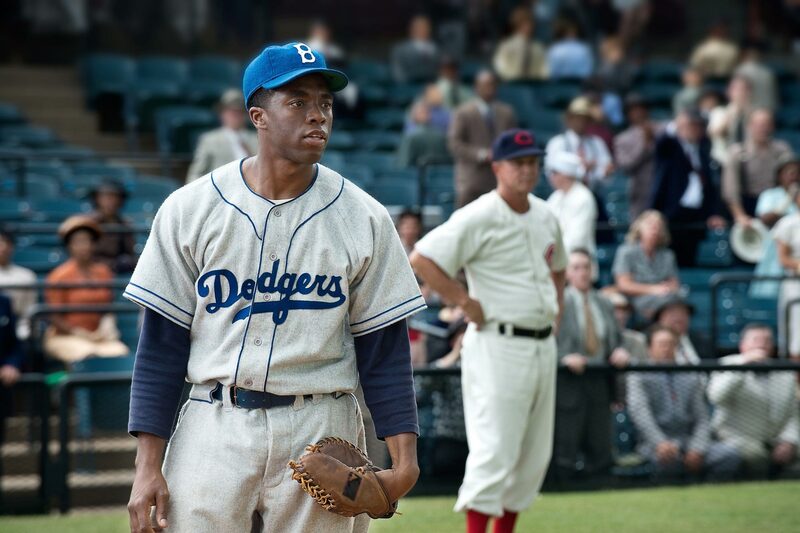 The spike in this otherwise flat film is Chadwick Boseman who shines as Jackie Robinson despite a script littered with cliches and a cinematic formula plucked straight from the Zero To Hero shelf. Chad still remains one to watch however as next year we’ll see him sequin-clad as James Brown in Get On Up. 42 is a good story. An important story that deserves to be told well. However despite a mighty good swing, the team behind this film fail to make a home run, (you may have seen that cliché coming but after sitting through two hours of such a formulaic film it appears they’re infectious).